Bulgaria's Supreme Administrative Court launches Thursday the much anticipated trial against the ethnic Turkish leader, Ahmed Dogan. Although he has been regularly called, the ethnic Turkish leader might not appear in person in court, but send a lawyer instead. The trial against him was filed due to a report of the Parliamentary Anti-corruption Committee. Ahmed Dogan has been involved in large-scale political corruption schemes, has breached the conflict of interests provisions and has served private interests, says the Committee's report. The leader of the ethnic Turkish party Movement for Rights and Freedoms (DPS), which was a member of the former three-way coalition cabinet, allegedly pocketed BGN 1.5 M as a consultant of four large-scale hydroelectricity projects, funded by the state - 'Tsankov Kamak', 'Dospat', 'Gorna Arda' and 'Tundzha' Dam. The case will be heard by three members from the Supreme Administrative Court, in open court. The Parliamentary Anti-corruption Committee,the Prosecutor's Office and Dogan have been called in the court. The scandal erupted in May after a visit of Prime Minister Boyko Borisov to the site of the hydroelectric power plant 'Tsankov Kamak', where he revealed that a huge hike in the initial price has been discovered. The money for the hydro power plant "Tsankov Kamak", from where Dogan took the sky-high payment as an "expert," was paid by the state-owned National Electricity Distribution Company (NEK), left in tatters after the ruling of the previous cabinet. 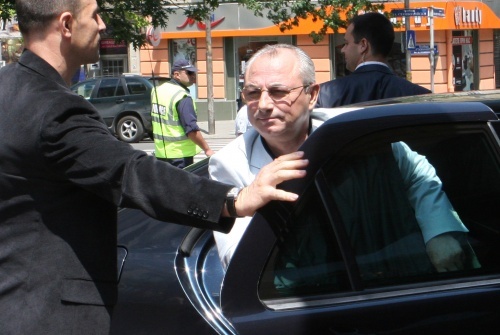 The new center-right government of Bulgaria was elected on an anti-corruption mandate last July and on the promise to bring to justice those involved in huge-scale corruption schemes. The latest embezzlement allegations against Ahmed Dogan have been widely considered to be a litmus test for the government's willingness to do so in practice. If found guilty, Dogan faces a fine from BGN 1 000 to BGN 3 000. The Supreme Court may also deprive him of the payment that he received as an expert.